Ryan Gosling is having one terrific year with Crazy Stupid Love, Drive and up coming Ides of March. In Drive he plays a character only known as Driver, a stunt man who moonlights as a wheelman for small time crime. He gives the criminals a list of conditions that must be met that include not carrying a weapon, he is only driving and they have five minutes before he will drive away. Director Nicolas Winding Refn who did the love it or hate it Valhalla Rising and the amazing Bronson harks back to the 70's movie making style with an atmospheric, terse, uber-violent homage. Based on a book by James Sallis the screenplay was written by Hossein Amini who also did Wings of the Dove and The Four Feathers. The Chevy Impala is the most popular car in California so it's almost anonymous. It's the best car to use for certain jobs. After telling the 2 masked men his conditions as a getaway driver, he sets his watch then leans back to listen to the basketball game on the radio. Shots are fired, and the culprits run back to the car just in time before he takes off. The driver knows his stuff and runs a cat and mouse with the police until he eventually pulls into a parking garage with exiting basketball game fans, gets out of the car, pulls his cap down then walking away with the masked guys still in the car. During the day he's an unassuming and somewhat tormented young man who works as a mechanic with his friend Shannon (Bryan Cranston) and as a Hollywood stunt driver. Shannon wants to use Driver for stock car races but he needs a financial backer which he gets in gangster Bernie Rose (Albert Brooks) who is looking for a legitimate enterprise. When Driver refuses to shake his hand because they are dirty, Bernie says “so are mine”. Driver is attracted to his new neighbor Irene (Carey Mulligan) and her small son after he helps her out with her broken car. He takes them for a joy ride in the LA river basin creating a family moment and becoming a father figure for her son. Carey's husband Standard (Oscar Isaac) is soon released from jail and although he's thankful for the 2nd chance with his wife, he's also suspicious of the relationship he senses not only between Driver and Irene but with his son too. He gets Driver involved with a pawn store robbery to pay off some protection money he owes from prison. In the classic heist goes wrong mode it ends up connected to Bernie and his sadistic partner Nino (Ron Perlman) a Jewish man who wants to be an Italian gangster. The story goes into overdrive as various gangsters go after some missing money putting Driver and Irene in the middle. There's a great scene in an elevator that pretty much defines the movie. It's been reported that Gosling was driving Refn home listening to the radio when REO Speedwagon's “Can't Fight This Feeling” caused him to sing along and tear up. It gave him the inspiration for the story of a guy who drives around listening the music because it's the only way he can feel something. Very little information is given about Driver, only that he showed up at Shannon's garage five years earlier. 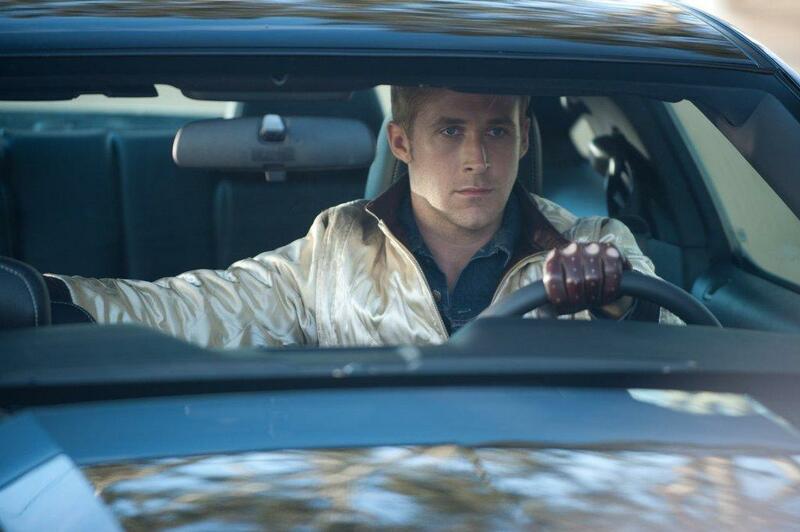 Gosling plays driver with stoic stillness. His pale eyes reveal little so when we see him with Irene and her child Gosling without dialogue can convey his need for human connection. Actually none of the characters are totally fleshed out. It's like we as human beings are ships in the night and we only know the surface, beyond that are the expectations that we project. Driver drives as it's the only place in the world he has full control while chaos reigns outside. Refn won Best Director at the 2011 Cannes Film Festival receiving a 15 minute standing ovation from the crowd. Refn claims influences from 1968's Bullitt and there seems to be a strong touch of Walter Hill's 1978 movie Driver with Ryan O'Neal. This film style is Euro film noir, with edgy visually cool action sequences enhanced by a pulse pounding techno sound score by Johnny Jewel. The film is dedicated to Alejandro Jodorowsky.